A fascinating point is the southern point of Île Chevalier, Pen ar Hoat. This is Qu 52. 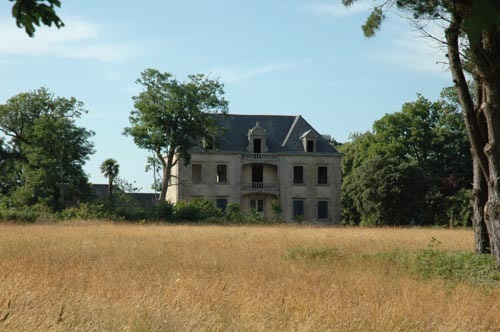 Near an old deserted château, on a quiet small island lie several Tobruks with a central 621 and an observation tower made of concrete and bricks. The Château of Île Chevalier.